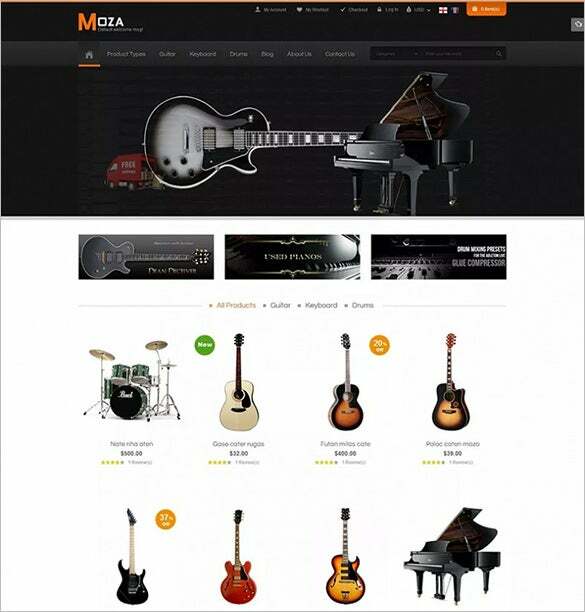 With the Magento music shop themes you will make sure that your website hits all the correct notes. 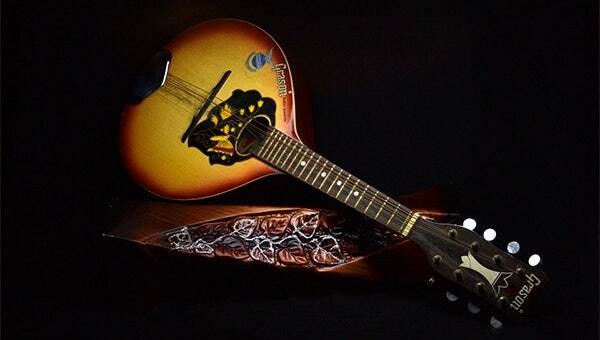 These vibrant music shop themes provided by Magento feature customizable background and fonts to ensure that you have the best site to sell musical instruments or even sheet music. Premium features like product comparison, photo enlargement, feedback forms are all available with these top Magento themes. You can also see Music Website Themes. 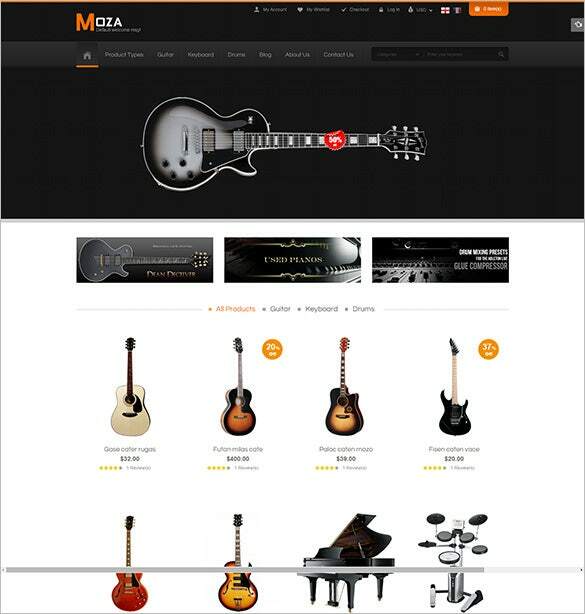 Create a comprehensive website for your clients with Music Gear Store Magento Theme with display ready images, well thought-out layout, descriptive genre pages, simple navigation, and most importantly with simple management tools. Stay upbeat with the latest themes for website and Ves Audio Store Responsive Magento Theme is perfect when you plan to create a professional musical website. It has cross-browser adaptability along with HTML coding, customisable widgets, multiple layouts etc. 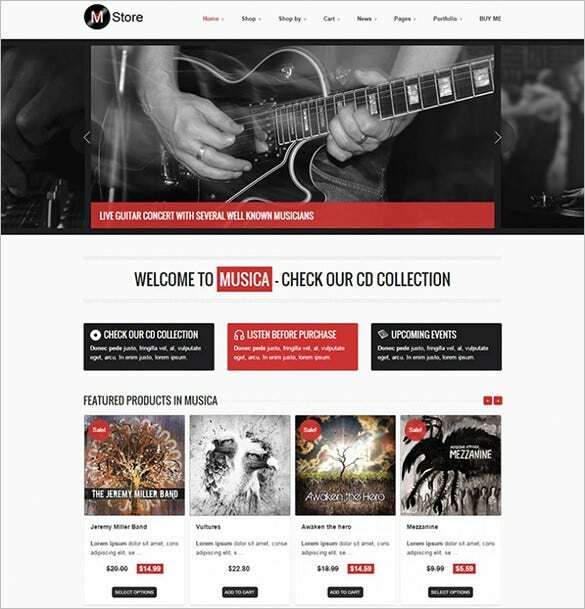 To open a music store online, get the Music Store Magento Theme Download which has fully responsive layout with SEO optimised content. Display ready images, layouts, bootstrap framework, HTML coding, flex sliders, filters, demo content and support staff. Ensure your online presence with Moza – Responsive Multi-Store Magento Theme which offers personalised options for custom elements, flexible images, fluid grids, media queries, SEO optimised content and smooth navigation. Customizable interface, with advanced coding and bootstrap framework, Music Magento Theme Download is ideal to create a premium website. SEO optimised content with pre-defines layouts, colour schemes, fonts etc. make it more resourceful. Create an exclusive website for your browsers depending on genres or relevancy with Magento Musica Template. Custom widgets with filters, sliders, colour schemes, responsive layout, smart HTML and CSS coding makes it a favourite for all designers. The products can be browsed through genres or relevancy or even price depending on the viewer’s choice. Detailed descriptions of the products can be written with the very fine customizable interface. This helps in letting the buyers know which the best option for their particular genre is. These themes can also be used by websites that sell music. Categorizing albums under genre or popularity and writing product reviews has never been this easy. 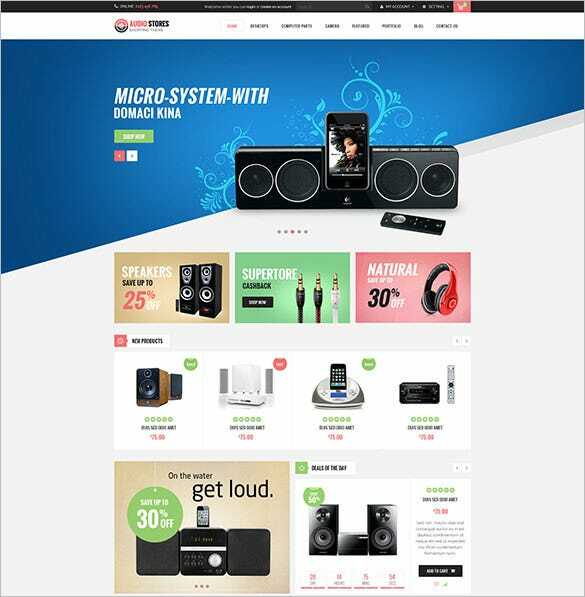 Make the world groove by getting a Magento music store theme for your music website. The premium options which come with these themes are truly mind blowing, and best of all these themes are free. These themes can easily be downloaded from many websites online. For an online music store which people will love and will keep coming back for, these themes are your best options.